Did you know that all your favorite bread-wrapped things can become flavorful and delicious soups? It’s all in knowing what to reserve as the toppings… bacon simmered = sad rubbery bacon. Cheese simmered = grainy cheese. Beef simmered with veggies= Yummy flavorful soup! Meet our Bacon-Cheeseburger Soup! All the flavor, and instead of inflammatory bread we substitute gut-healing beef stock. Leftovers? Yes they’re amazing as well! Just stick with adding the toppings after reheating the soup so you can avoid the rubbery bacon problem discussed above. You can even drizzle this in Ranch Dressing for a Bacon Ranch Avocado soup! Dairy-Free: use dairy-free ranch dressing and omit the cheese. This soup is all the best cheeseburger flavors, in a soup! Warm, comforting, filling, and nutrient dense! Cook bacon in a large saucepan over medium heat. Remove once cooked through and leave grease in the pan. Add onion rings and cook over medium-low for about 20 minutes, or until caramelized. This step does take a while, you may want to start the beef in another pan. If you're not in a hurry, remove the caramelized onions once done and set aside. In the same pan, cook and crumble beef. Once beef starts to brown, add in carrots, celery, garlic, basil and parsley until vegetables are tender and beef is browned, about 10 minutes. Add broth, tomato paste, and salt, bring to a boil. Reduce heat; simmer, covered, 10-12 minutes. After simmering, adjust salt and add pepper to taste. 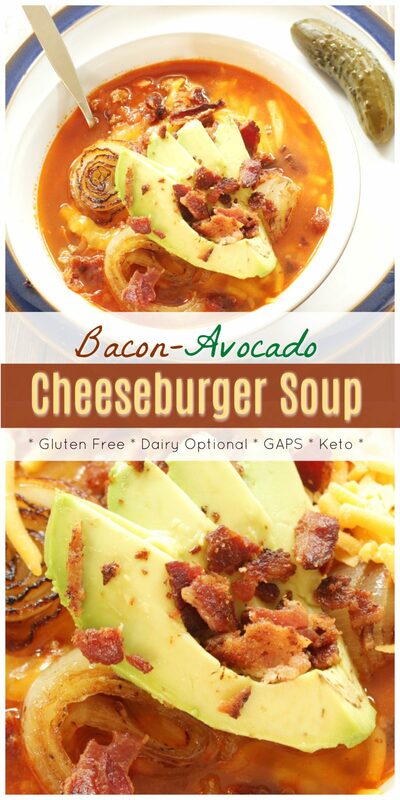 Ladle soup into bowls, topping with the shredded cheddar cheese, caramelized onions, crumbled bacon, and avocado slices. 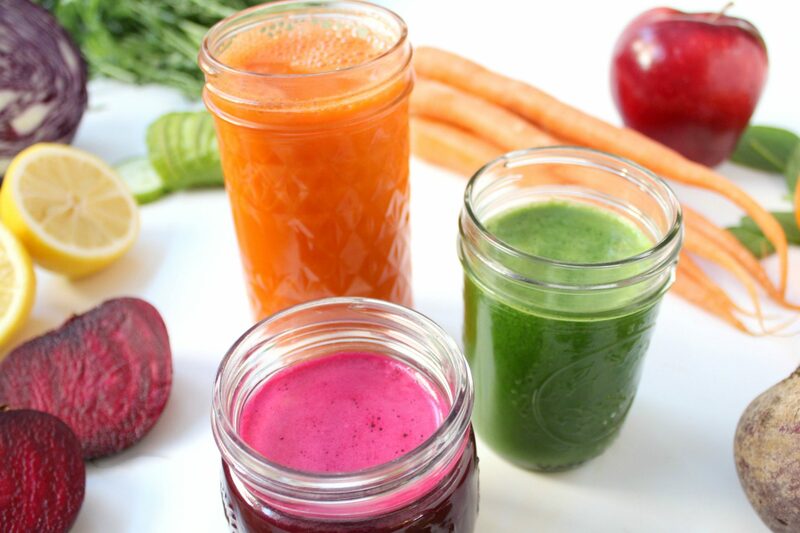 Next Post: When Do You Move to the Next Stage on the GAPS Introduction Diet? Awesome! You’ve got to be kidding me with this, but you’re not :) All my favorite things wrapped into one. The avocados are ripe right now in Vietnam. Need to make a bulk batch of this ASAP. Thank you for sharing! So happy to share! It’s good, isn’t it? !